Skin rash identification can be important. 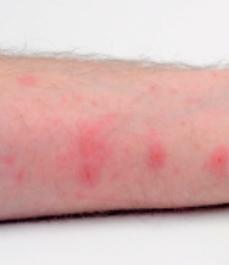 Although some rashes are just annoying or unsightly, others can be signs of serious conditions. Learn what some of the most common rashes are and some of their identifying traits in this quiz. Please note an internet skin rash quiz should not replace the diagnosis or advice of a physician.